We hope you didn’t use a Pinnacle vip code to bet on the Rangers last Saturday, on December 16th even though online bookmakers estimated a 70% chance they would win the confrontation with St. Johnstone. Unfortunately, they lost 1-3 in spite of Morelos early goal in the 5th minute of the match. 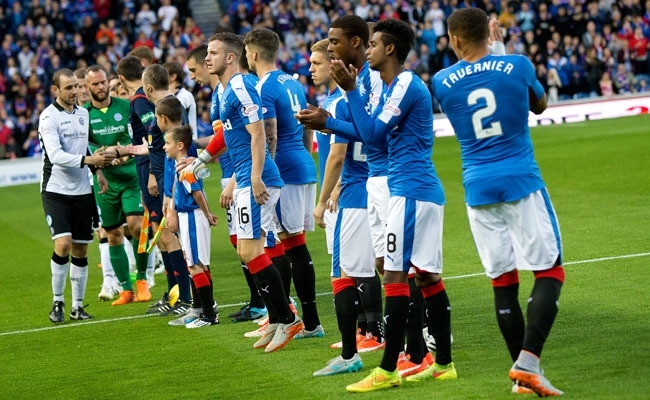 Although they were behind the Rangers in the Scottish Premiership rankings, they managed to gather up their strengths to obtain a victory at Ibrox Stadium, in Glasgow. It’s yet to be determined whether the result is due to the Rangers bad game or the opponents’ good performance. As mentioned before, the Rangers start the game in a powerful manner when Alfredo Morelos scores after just 5 minutes. Still, in a just as big rush as the home team, St. Johnstone’s Blair Alston ties up the score at 1-1 in the 10th minute. There are no more notable events until half time. 6 minutes after the start of the second half, Jason Holt gets a yellow card followed by Liam Craig 2 minutes later. In the 61st minute of the match, St. Johnstone takes the lead thanks to Denny Johnstone who succeeds in getting the ball into the Rangers’ net. Right after that, the Rangers’ coach brings Niko Kranjcar in, taking out Daniel Candelas. About 10 minutes later, St. Johnstone makes a couple changes too: David Wotherspoon replaces Stefan Scougall and Graham Cummins takes the place of Denny Johnstone. At just one minute after entering the field, Cummins scores the final goal of the match securing a victory for the away team. Until the end of the game, the Rangers make another change (Eduardo Herrera in for Ross McCrorie) and two players from St. Johnstone are showed yellow cards: David Wotherspoon at just 2 minutes after entering the game and Steven Anderson in the 90th minute. The match has 1 minute of overtime that St. Johnstone uses to take Liam Craig out and introduce Steven Maclean. The referee then ends the game and the Rangers suffer a loss. Possession was 62% to 38% in favor of the Rangers and it’s a pity they didn’t manage to do something with the ball they kept. There was a relatively equal number of shots both on and off target. The Rangers had 6 corner shots while the others had none. They also performed more fouls (13-8) but St. Johnstone had more serious offences since their players got 3 more yellow cards.